Contains almost everything needed to enter the world of advanced model rocketry. 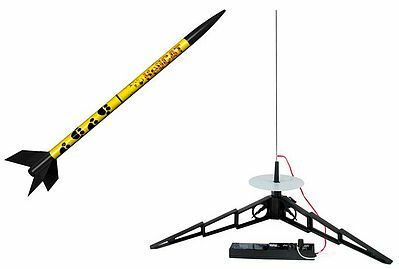 Features of Initiator Advanced Model Rocket. -39'' long tip to tail. -Precision airfoil fins molded of durable polymer. -Fin-Lok fin mounting system. -Integrated load distribution structure. -Sturdy pre-slotted body tube. © Hobbylinc.com. All rights reserved. Images and Descriptions are representative only, actual items may vary. Prices subject to change without notice. Hobbylinc maintains no responsibility for inadvertent errors. 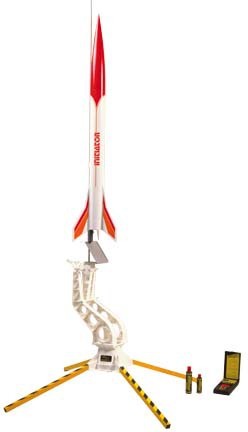 hobbylinc.com is a full line hobby shop which carries model rocket starter sets, and much more.